The European Court of Human Rights (ECtHR) has ordered Russia to pay 60,000 euros in damages for the illegal detention and presumed death of Apti Zaynalovin. The European Court of Human Rights (ECtHR) has ordered Russia to pay 60,000 euros in damages for the illegal detention and presumed death of Apti Zaynalovin. His mother was represented at the European Court of Human Rights by Middlesex based European Human Rights Advocacy Centre (EHRAC) and Russian NGO Memorial. The Court ruled that the detention and disappearance of Apti Zaynalovin in 2009 breached three separate aspects of the right to life under the European Convention on Human Rights. In late June 2009 Ayma Makayeva's son, Apti Zaynalov, was living in Saratov (Russia) and planning to go and study in Egypt. On 2 July 2009 Ayma heard that a young man, matching her son's description, had turned up in hospital in Achkhoy-Martan (Chechnya) with signs of being tortured and was being held under armed guard. Ayma was supported by staff at the local Memorial office, including Natalia Estemirova, in appealing to the district prosecutor's office for information. She found out where her son was allegedly being held and, on going to the hospital, witnessed her son being taken out through the security exit by men in camouflage uniforms, put into a Volga car and driven away. He has not been seen since. Ms Makayev applied to the prosecutor's office and other authorities, asking for an investigation to be instituted into her son's disappearance. A criminal investigation was finally opened on 28 July 2009, which remains pending today. 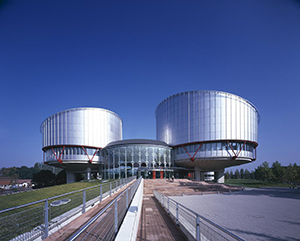 Ms Makayeva appealed to the European Court, with EHRAC and Memorial's assistance, almost immediately after her son's disappearance and her case was given priority treatment in October 2010. In its judgment the Court concluded that given the "life-threatening context to unacknowledged detention in this region" Apti can be considered dead and that the Russian State is responsible for violating his right to life (Article 2). As the authorities did not demonstrate "an urgent and appropriate reaction with the aim of saving Mr Apti Zaynalov's life" after they had been informed that he was being held at the hospital, a second violation of the right to life was found – the Court noting that an internal enquiry by the Chechnya Prosecutor's Office concluded that the acting district prosecutor's behaviour "had facilitated the kidnapping". The Court found a third breach of the right to life because of the authorities' failure to carry out a thorough, objective and impartial investigation into the disappearance. It also concluded that Ms Makayeva suffered a violation of Article 3 on account of the distress and anguish she continues to suffer, and that a "particularly grave" violation of Article 5 had occurred on account of her son's detention which took place "without any legal grounds". Lastly the Court concluded that she had no effective remedies by which to challenge the disappearance, in violation of Article 13 in conjunction with Article 2. On hearing the judgment, Ms Makayeva said: "I would like to sincerely thank everyone in Grozny, Moscow and London who helped to bring the case to the European Court and who didn't allow lies and injustice to defeat the truth. I hope that at least now I will be able to find out the fate of my son."